My very first post here was about an acoustic I discovered that was very similar to a coveted Martin OMJM model that I had been lusting over. While that wasn’t specifically a clone, it satisfied what I was looking for: a very good, inexpensive alternative to extremely high-priced gear that not only met my requirements for quality but budget. I’ve done similar searches for effects pedals as well. You can only read about/hear in person a vintage Tube Screamer, original Marshall Bluesbreaker BB1, or Russian Big Muff so much before you want one. 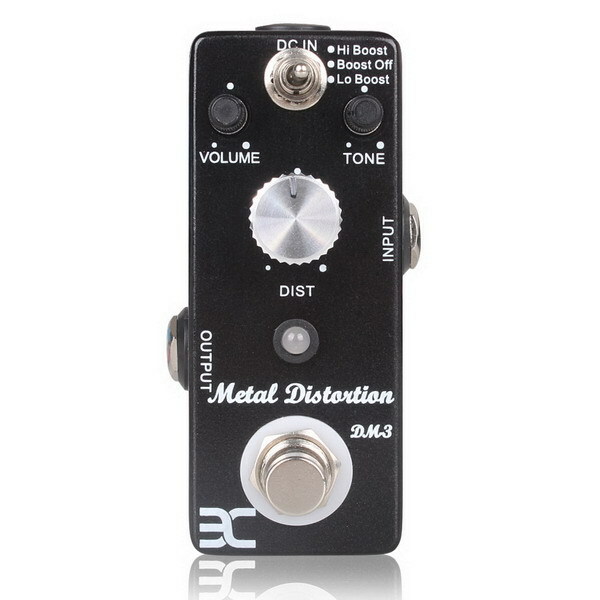 And with original Klon Centaur pedals getting harder to find, and thus commanding close to $1000 each on eBay…. few of us have the resources to quench these desires. For better or worse, one of the biggest fads that’s hitting the guitar world now is cloning. Overseas manufacturers are producing high quality gear that is based off of popular designs, if not flat out copying them. This is true for instruments as well as other gear such as effects pedals. Now I’m not going to assume what your moral stance is on intellectual property infringement. However I did want to consolidate some information about the 3 most popular manufacturers of “clone” guitar pedals: Mooer, Eno, and Rowin. So consider this a Chinese menu for finding the clone that’s right for you. All three share some common physical features such as micro enclosure size, 1 “master” control and 2 “mini” ones, and perhaps a switch for another tonal option. They have very tiny footprints, which is great for crowded pedalboards. However because of this, they are only powered by 9v DC in – not batteries. Totally acceptable if you aren’t the battery type. All three also offer micro tuners. Note that while they look the same – and you’d think they are just rebrands from the same factory – that’s not the case. They are all manufactured separately, and thus have different “parents”. Summary: Mooer has been around and public (in the U.S.) the longest. They have a mind-blowing selection of pedals – a la Boss – which could satisfy almost anyone. They didn’t just target famous overdrive/distortion units, but popular/vintage modulation dynamics (compressor + EQs), modulation (chorus, flanger, phaser, etc. ), and delay effects as well. Summary: Eno doesn’t have the arsenal that Mooer has (yet), but covers a lot of the same ground with their key units. Eno has opted for a more metal-look/Marshall amp-style master knob, which does give the units a slightly more “solid” feel. Also note that the “XING” branding on the cases are more than likely for foreign markets. Seems that the screening on enclosures are modified per market. 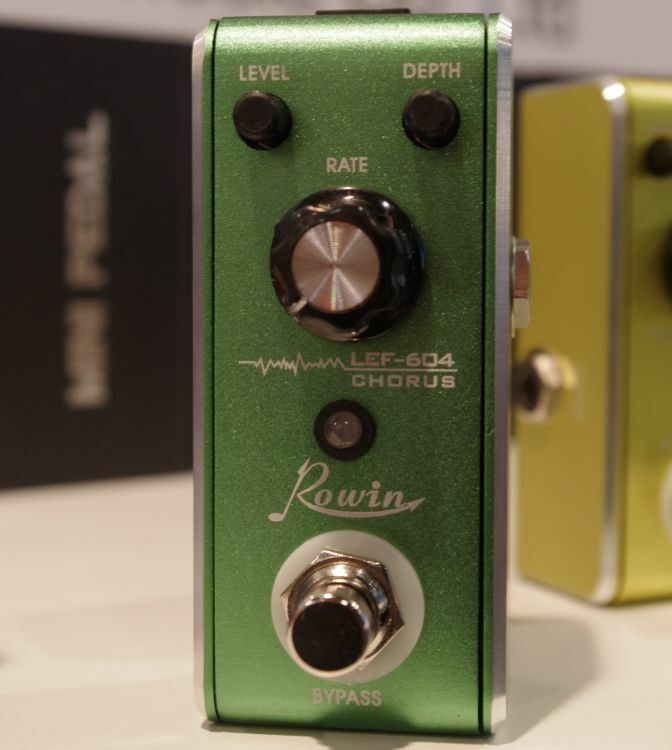 Price: extremely cheap right now, all sub-$30 U.S.
Summary: Rowin has only a few units widely available in the U.S. right now, but similar to Eno they do justice to the tried-and-true. 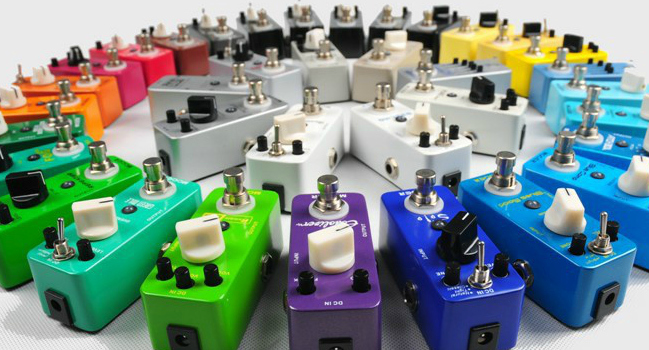 Their enclosures look the most durable, with a colored brushed metal face – which unique from the others, each pedal seems to be available in a few colors – and brushed silver edging. They also possess a vintage rack unit-style master knob. Hope having all of this consolidated helps. Enjoy. This entry was posted on July 23, 2013 by davealloway2001 in Effects and tagged Boss, Chorus, Classic, Clone, Compressor, Distortion, Effects, Electro-Harmonix, Eno, Fulltone, Micro, Mooer, MXR, Overdrive, Pedals, Rowin, Vintage.